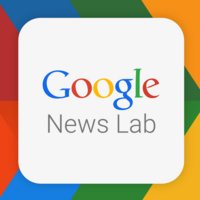 Google NewsLab is coming to UTA for two research training workshops! Digital tools trainer Sandra Gonzalez will cover best practices for Google news tools and training on how to spot fake news. Google NewsLab tools can help can help with research and reporting for various academic and professional endeavors. Students of all majors are welcome, but communications students are highly encouraged to attend. This event is sponsored by the Society of Professional Journalists UTA student chapter.